Burj Khalifa Known As Burj Dubai Before Its Inauguration, Is A Megatall Skyscraper In Dubai, United Arab Emirates. It Is The Tallest Structure In The World. 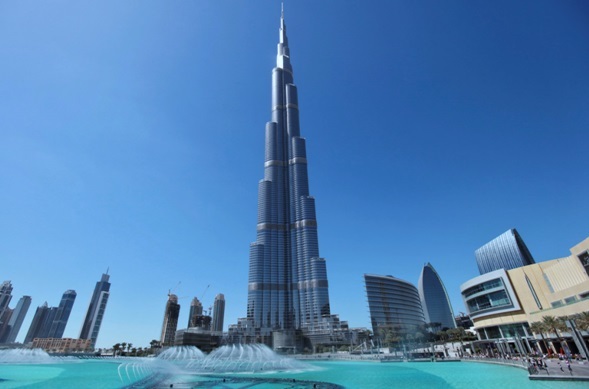 Construction Of Burj Khalifa Began In 2004, With The Exterior Completed In 2009. The Primary Structure Is Reinforced Concrete. 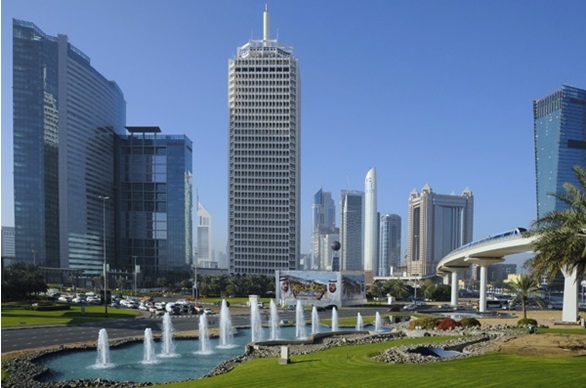 The Building Was Opened In 2010 As Part Of A New Development Called Downtown Dubai. 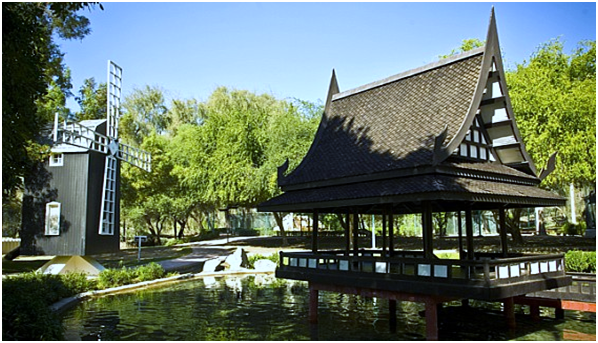 It Is Designed To Be The Centerpiece Of Large-Scale, Mixed-Use Development. 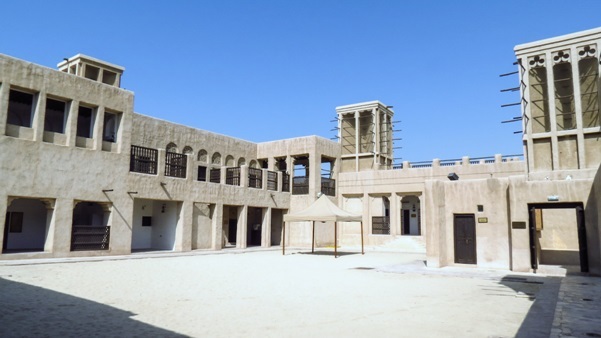 The Decision To Build The Building Is Reportedly Based On The Government's Decision To Diversify From An Oil-Based Economy, And For Dubai To Gain International Recognition. 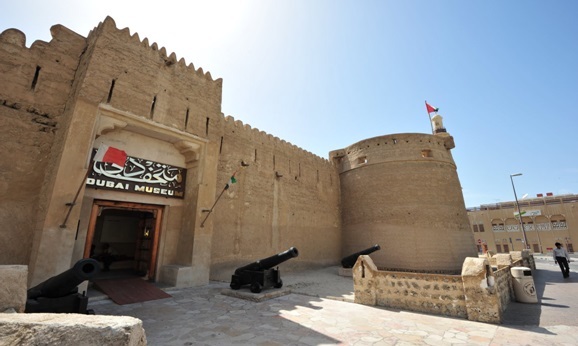 The Building Was Named In Honor Of The Ruler Of Abu Dhabi And President Of The United Arab Emirates, Khalifa Bin Zayed Al Nahyan; Abu Dhabi And The Uae Government Lent Dubai Money To Pay Its Debts. The Building Broke Numerous Height Records. 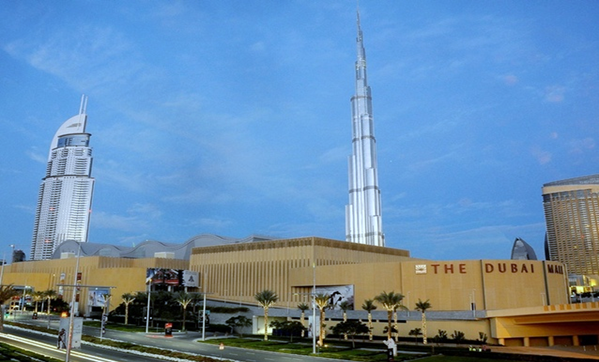 Dubai World Trade Center has been extended to include our numerous Exhibition Halls, Sheikh Rashid Hall and Maktoum Hall as well as the Convention Tower, Sheikh Saeed Halls and the Trade Centre Arena, giving rise to over one million square feet of space.Dubai World Trade Centre has since been joined by numerous other skyscrapers alongside the Sheikh Zayed Road. But it remains as it has always been – the pioneer of Dubai's rise as a cosmopolitan commercial centre at the crossroads of the world. 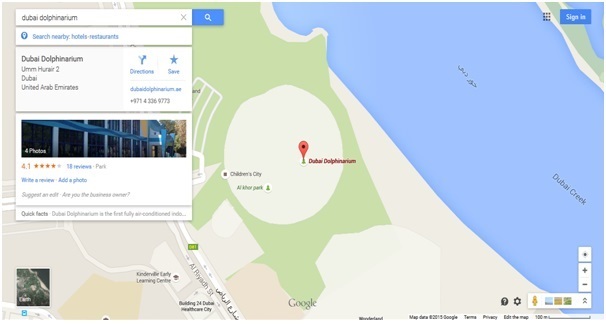 Dubai Dolphinarium is the first fully air-conditioned indoor dolphinarium in the Middle East, providing habitat to dolphins and seals, allowing the public to watch and interact with them through live shows and photo sessions.It is located in the creek side park at Bur Dubai near the Children's City. 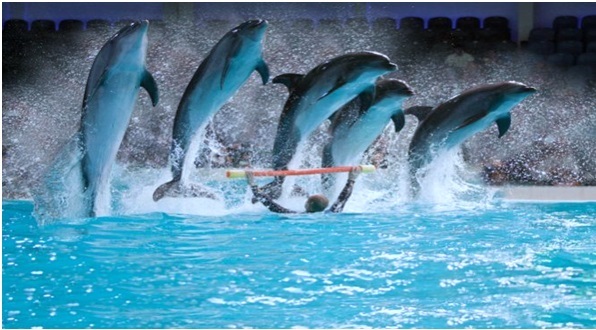 Dubai Dolphinarium was opened on May 21, 2008 by Dubai Municipality, and is sponsored and supported by Dubai government to provide the general public with entertainment and also educate them regarding dolphins, seals and other marine organisms. 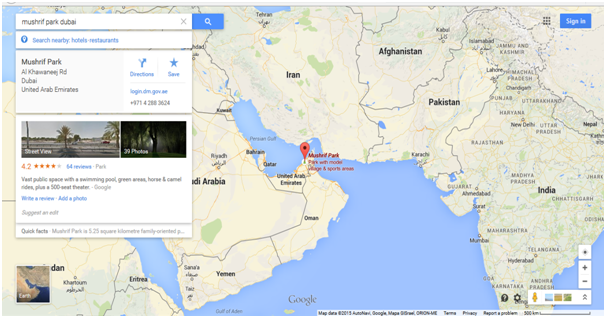 Palm Jumeirah is the world's largest man-made island and is comprised of a two kilometre long trunk, a crown made up of 17 fronds and a surrounding crescent. 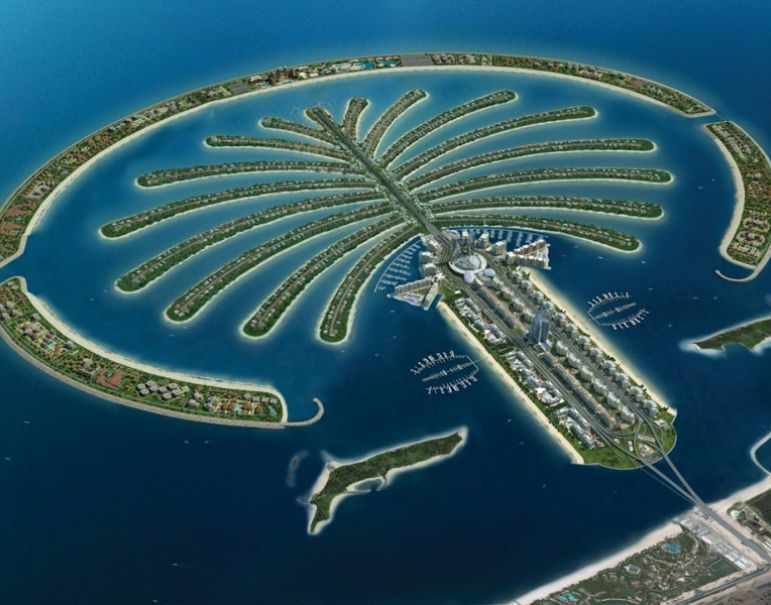 The first of three such islands that comprise 'The Palm Trilogy', Nakheel's signature development, it will be followed by The Palm Jebel Ali and The Palm Deira. Set on the 30-acre Burj Khalifa Lake, the fountain shoots water jets as high as 500 ft (150 metres), equivalent to that of a 50-storey building. The fountain is 900 ft (275 metres) long and has five circles of varying sizes and two central arcs. It has been designed by California-based WET, the creators of the Fountains of Bellagio in Las Vegas. 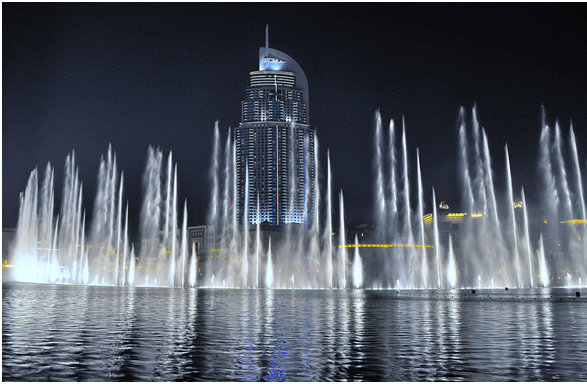 The Dubai Fountain performs daily, with the performance repertoire including Sama Dubai; Baba Yetu, an award-winning song in Swahili; the Arab world's top-selling dance number Shik Shak Shok; and the signature piece of world-renowned Italian tenor Andrea Bocelli. 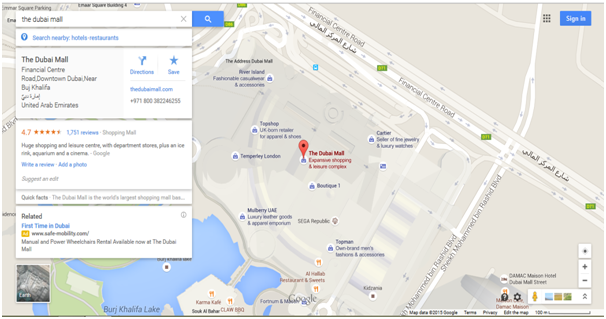 The Dubai Mall is the world's largest shopping mall based on total area and fourteenth largest by gross leasable area. 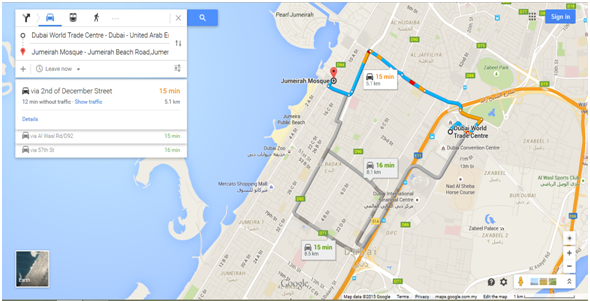 Located in Dubai, (U.A.E), it is part of the 20-billion-dollar Downtown complex, and includes 1,200 shops. Access to the mall is provided via Doha Street, rebuilt as a double-decker road in April 2009. A much-photographed landmark, especially when lit up against an evening sky, it's also the only Dubai mosque to open its doors to non-Muslims. The tour, which is as much fact-finding as it is sightseeing, lasts around 75 minutes. 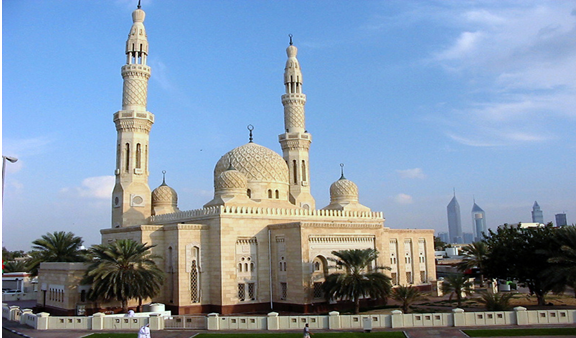 The Sheikh Mohammed Centre for Cultural Understanding (SMCCU) organises tours of the Jumeirah Mosque six days a week from Saturday through to Thursday at 10:00am. 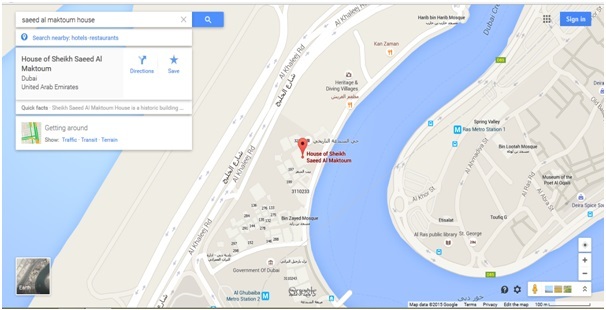 You don't need a reservation to attend, but you should arrive at the main entrance to the mosque at 9.45am.